"Hi, anyone has GPS problem? GPS doesn't work in maps and Waze anymore. Even updating my iPhone to the latest iOS (iOS 11.2.1) doesn't work. Actually I have this GPS problem on both my iPhone 6 and iPhone 8. Any suggestion to fix it?" Love travelling? Exploring new places is always a fun. How would you manage to roam around the place without GPS? All map apps require the help of GPS. Travelling and exploring new places or going from one place to other, GPS is one of the most helpful features which all of us have in our iPhone. However, recently, many people complain that there is some problem with the GPS on their iPhone even iPhone 8 and the problem still exist after updating to the latest iOS 11.2.1. There are many reasons that could lead to this GPS problem, such as software upgrade, improper settings or network connectivity. If you are getting such problem, you are at the right place to fix it. We'll be discussing the possible reason why your the GPS in your iPhone including iPhone 8 is not working and what measures needed to be taken in this case. Alright, so let's get started. The tips below applys to all iOS device including iPhone 8, iPhone X, iPad, iPod touch running almost all iOS versions including iOS 11.2.1. 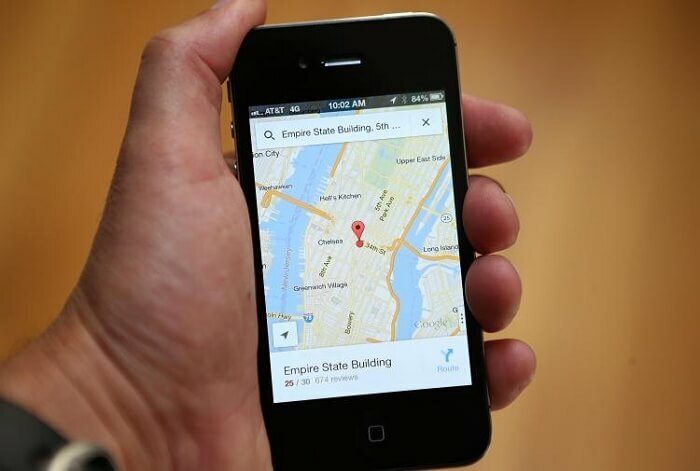 It plays a major role in determining your exact location. 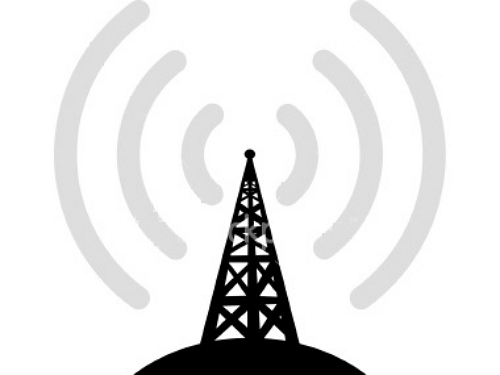 If you are in a place or building where radio signals are weak or cannot reach, you may eventually face problems like your iPhone (8) GPS not working or poor call connectivity. This applys to these people who come to a new place and suddenly cannot use GPS. In this case, you should check the GPS while keeping changing your location. Sometimes the problems could be smaller than it seems to be! Your location services may be turned off. Don't think it is impossible. Sometimes after you update the software or for other unknown reasons, location services could be turned off without your awareness. If location service is turned on and your GPS stops working properly, you can simply just turn off your location services and reactivate it. This would clear the bugs that may have been interrupting your GPS connection. Sometimes the problem could be caused by the GPS running app that you are using. Having an obsolete GPS application may not appropriately show up your location. Check if your GPS application is up to date or not. You can choose to uninstall and then reinstall the app on your iPhone (iPhone 8 included) to see if the program still exists or not. Besides, you can also check the other app using GPS works normally or not. If you are still not able to get accurate GPS service, then another possible reason could be the problems of your device's network and location settings. These problems are quite technical and are not easy to be explained but they not just hamper your GPS connections but also your cellular data network connections of your iPhone (iPhone 8 included) too. Resetting your network data would be the best possible solution for these problems. 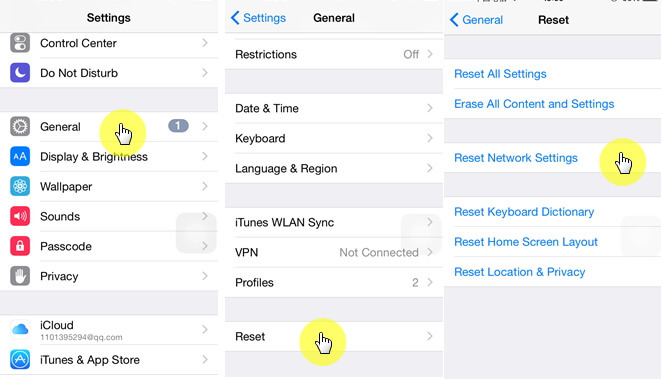 You need to get into the ‘Settings', then ‘General' and tap on ‘Reset', you'll come up with a list of reset options, tap on Reset Network Settings and then on Reset Location & Privacy tabs. Each time you tap on reset options you need to enter your passcode in order to authorize the action. Once done, you will have to connect all your Wi-Fi connections manually again. You can then check if your GPS locate you correctly or not. Sometimes there may be some software issue with your iPhone that can be fixed by restarting your iPhone. If it doesn't work, try soft reset. Follow the steps below to perform soft reset. There's no issue of wiping out of your data while performing it. 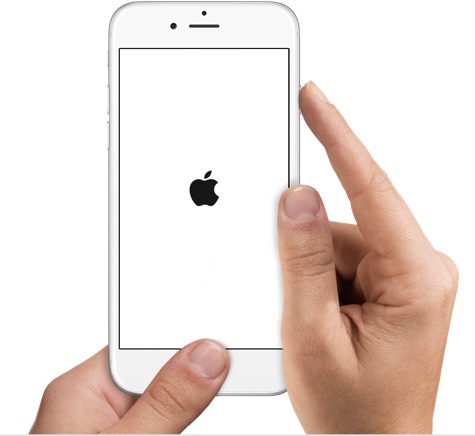 iPhone 6S and earlier, iPad, and iPod Touch: press Power button and Home button together until you see the apple log. 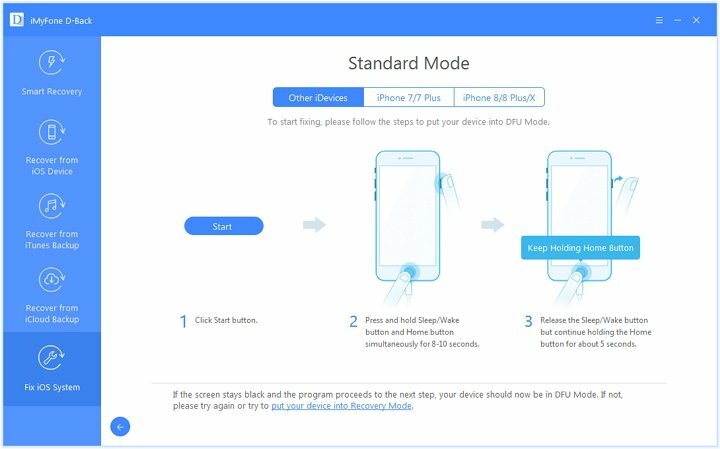 iPhone 7 and 7 Plus: press Power button and Volumn Down button together until you see the apple log. 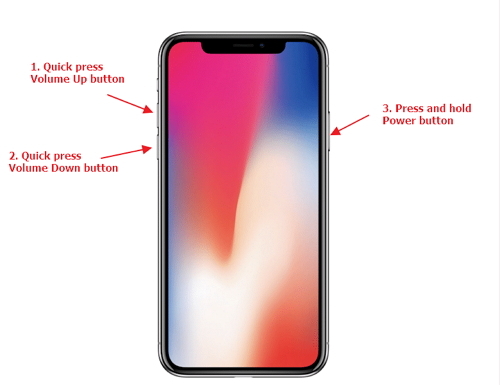 iPhone 8, 8+, and X: Qucik press Volume Up, then Volume Down, and hold Power button until you see the apple log. If your iPhone GPS is not working properly, perhaps, it could be a system issue of your iPhone even iPhone 8 especially when the problem appears after iOS 11 update. You surely can restore your iPhone through iTunes but that may eventually lead to your data loss. That's really disappointing, right? Don't worry, things have changed, you can now repair your GPS problems without performing any restoring steps and that too without losing any existing data. You just need the help of iMyFone D-Back or iMyFone D-Back for Mac iOS system recovery software. iMyFone D-Back is fully loaded with numerous features. We will get to know about fixing up an iOS system with iMyFone D-Back in this article. It is excellent and user-friendly software to fix iOS system issues. 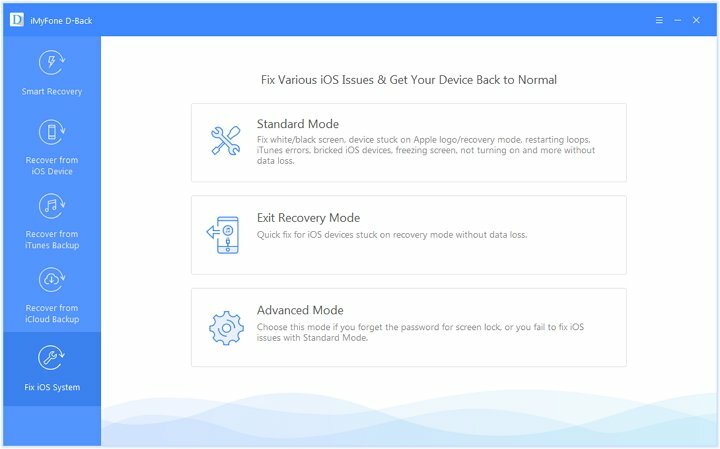 Before proceeding, let me tell you, iMyFone D-Back not just fixes iOS system but also comes with another functionality of Data Recovery too. 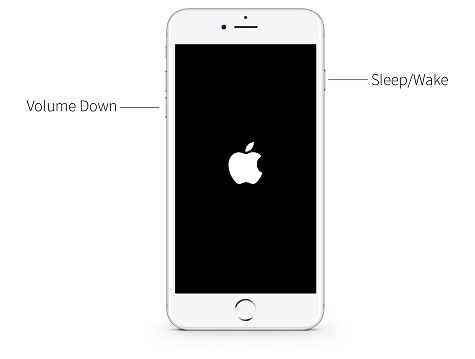 When you get issues like black or white screen or looped recovery mode, don't give a second thought on iMyFone D-Back. Also, this software is intended not to harm or influence any of your existing data. It comfortably supports to recover multiple file formats like messages, photos, contacts, notes, and so on from iOS device. It is 100% secure and assures complete safety of your personal information. So, there is no need to be concerned about information disclosure. This software is compatible with all iOS devices including iPhone 8. 1. The first step is to launch iMyFone D-Back. From the coming window, select the "Fix iOS System" feature and click "Standard Mode". 2. 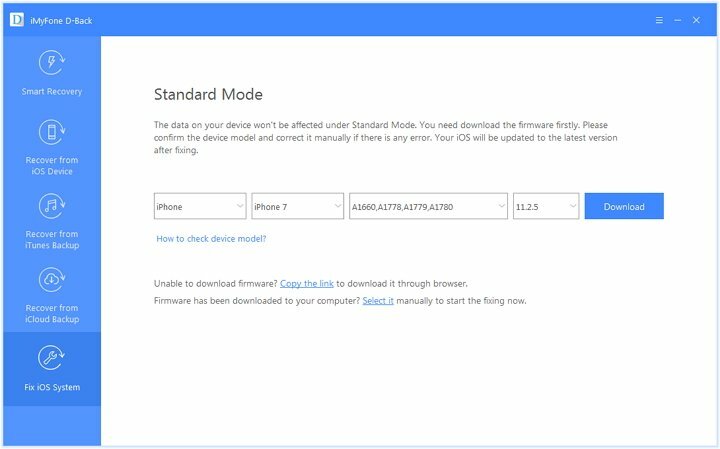 Allow connection between your iOS device such as iPhone 8 and computer vis USB cable and put your device into DFU mode or Recovery mode. 3. After that, you need to download new firmware. Just click "Download". The proper iOS firmware will be downloaded. 4. Wait until the firmware is downloaded. iMyFone D-Back will initiate the repairing process as soon as click "Start to Fix" and your device will get back to normal soon. To winding it up, we can say that iMyFone D-Back or iMyFone D-Back for Mac (compatible with iPhone 8 and iPhone X) is one of the finest software that carries out functions properly. 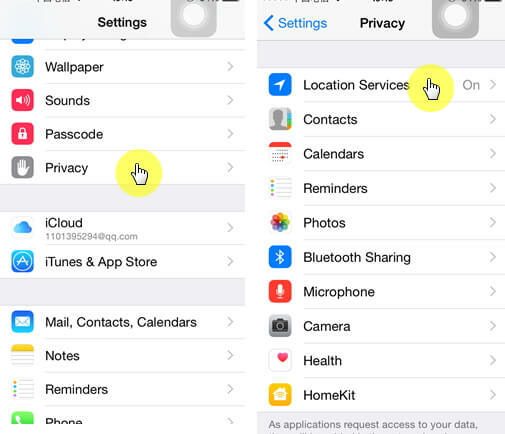 Without losing your data, you are able to fix iOS system. Moreover, no expertise is need as it is extremely easy to use. Hope you can fix iPhone GPS not working by yourself at home.